Today we are featuring a quilt made by Juli Ann Donahue whose work you can see in her flickr stream. 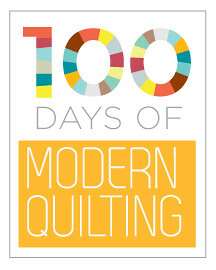 This quilt is a great example of how solids allow you to be creative with your use of color. This quilt was my answer to the Robert Kaufman Solids Only Challenge. 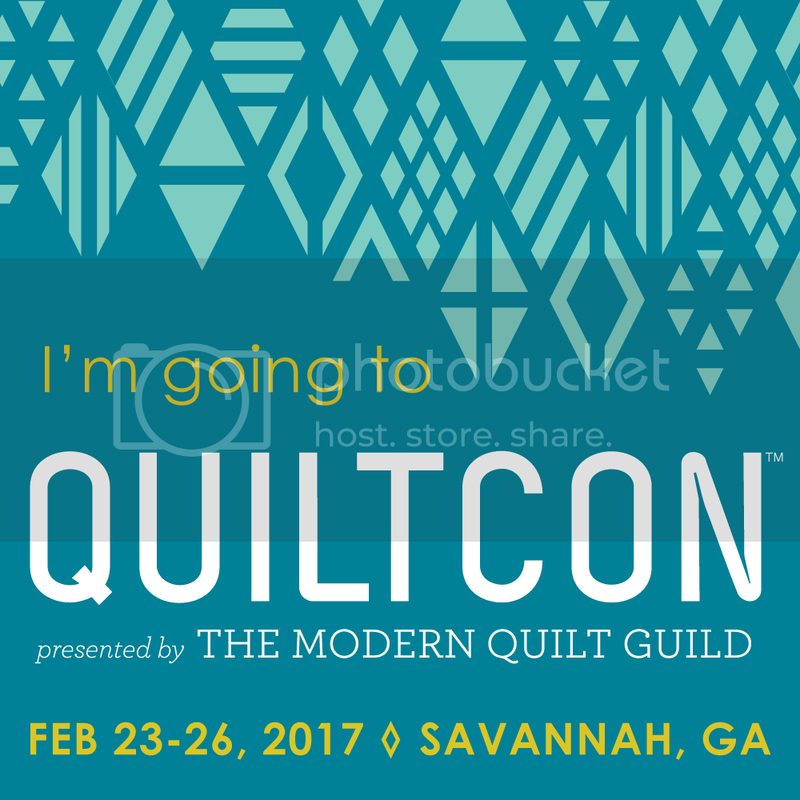 The St. Louis Modern Quilt Guild was given the classic palette of Kona solids and as soon as that lovely, little stack of fabric was in my hands I began humming Somewhere Over the Rainbow. I played around with several designs, but my mind kept coming back to “If happy, little bluebirds fly beyond the rainbow why, oh why, can’t I?” Our guild set the guidelines that you could use the charm pack plus two other solids, of which I opted for a white background and added an orange. From there, I basically used each charm square for a letter or two in rainbow order. That challenge was such a fun, little puzzle that we each got to figure out how to put together ourselves, which I feel is the genuine spirit of modern quilting. There are no set rules or restrictions. It’s just creativity, imagination and oh, such gorgeous fabric! What do you love about using only solids? Opening a color card of solids is like opening up a brand new box of crayons! So many gorgeous choices… so versatile… so stylish… so timeless. Solids are your utility player and your superstar! What I love most about using only solids is that it instantly gives a quilt a very bold and graphic quality, which is a design that I’m always drawn to. The quilt design gets boiled down and has a really beautiful clarity. lovely. I love the little quilted rainbows. YAY!!! for Juli Ann. Such a happy quilt for the Friday morning and the quilting is just fabulous and so appropriate. How lovely! I know I will be singing this song all day and thinking of the beautiful rainbow. Very sweet! I’m almost finished a lyric quilt top, too. 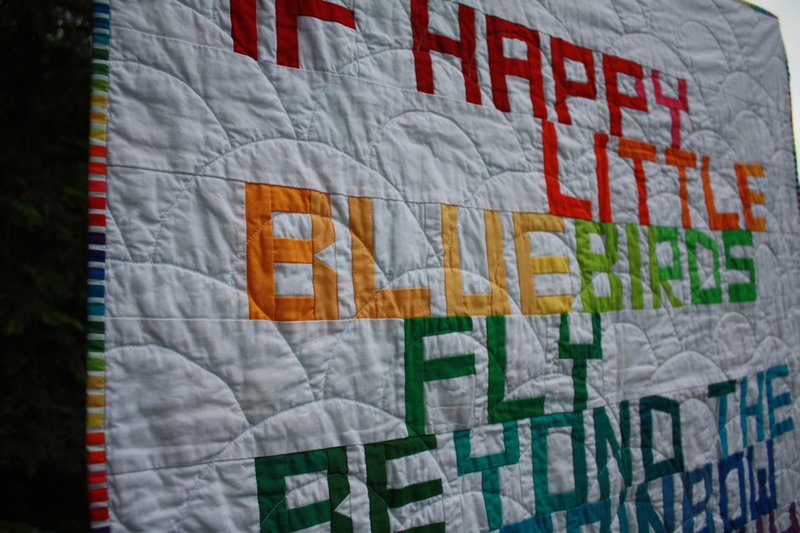 I love how the bright solids completely jive with the lyrics you’ve chosen and make such a happy quilt. I love it – that is absolutely gorgeous. Simple but very effective. Good going, Julie! Such a bright and cheery quilt, perfect for the day! Well done! Love the use of words in a quilt! 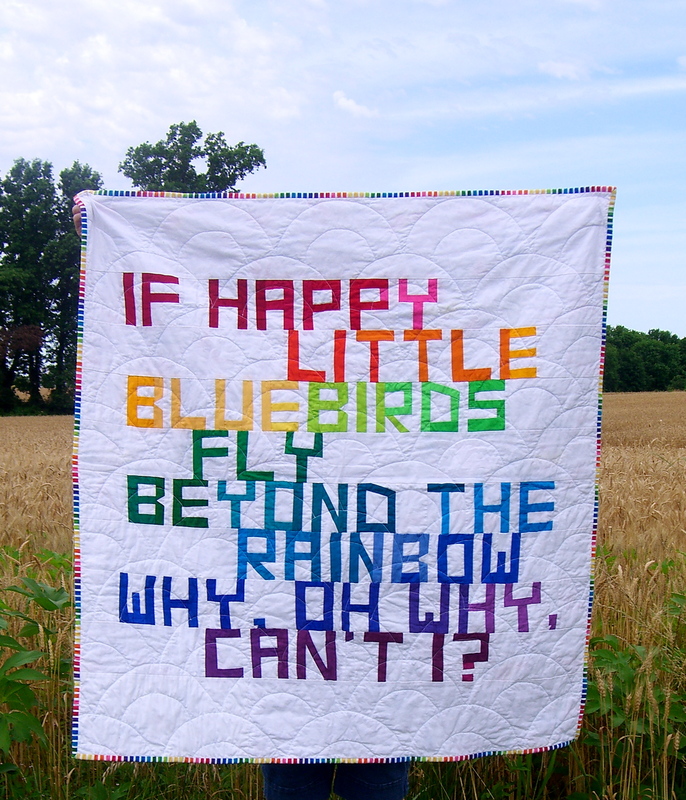 And the rainbow quilting as a background are just perfect!